Pork is one of my favorite go-to meats for weeknight dinners. I usually have about 30 minutes from the time I get home from work until my family is near death from starvation. Maybe 35 minutes. 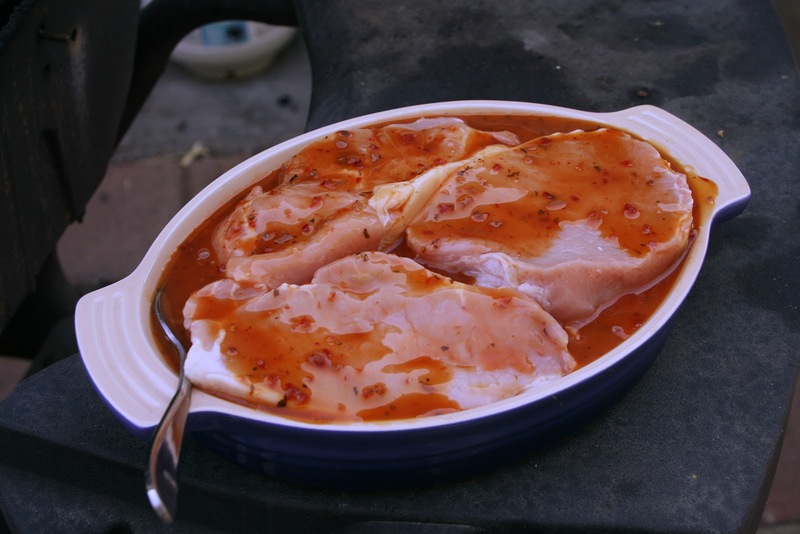 I like to use pork because it grills nicely, marinades quickly and because I can usually get a great deal on it. Here's one of my favorite marinades, one that takes only a few minutes to put together and tastes great. Mix all of the ingredients together. Pour over pork (I used pork loin chops because they were on sale this week) and let sit for about ten minutes. 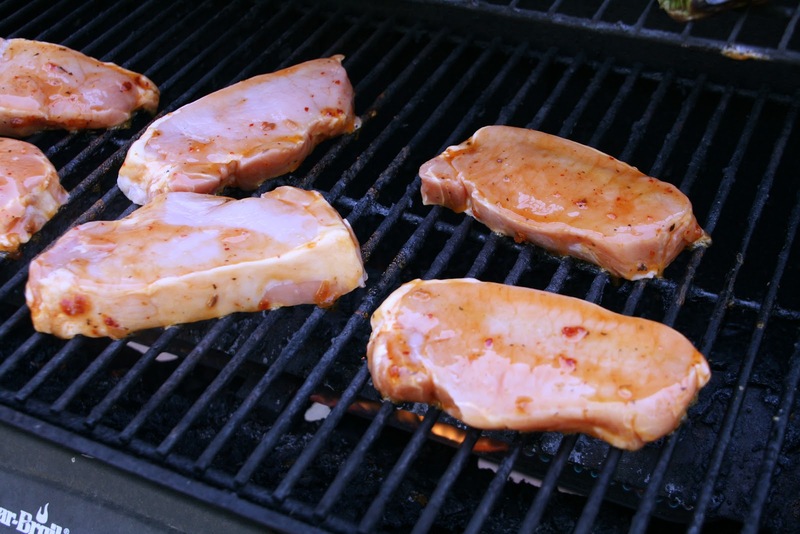 Place the pork chops on the grill, and cook for about 6 minutes per side, or until it reaches an internal temperature of 145 F.
Serve! I served ours with our favorite Spicy Corn and Peppers, and a fresh tomato from the garden. Yum! What do you cook when you need to get dinner on the table in a flash? Ooh, you have linked in 2 nice pork dishes to Food on Friday. Thank you. Have a great week. This was so yummy! 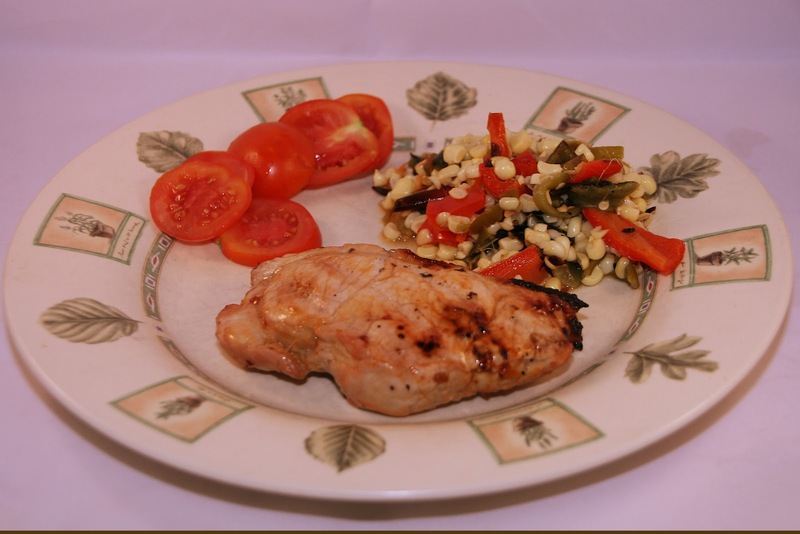 Made pork chops and chicken breasts at the same time for lunch leftovers. Sadly, I overcooked the pork as I always do but it was tasty anyways! yum!